Anson’s office door went into production this weekend. It’s been a long time coming, but haste would have been a mistake: so much nuance can only come with time. The original idea came from Howard’s description of the office itself and focused on its Arts & Crafts characteristics. 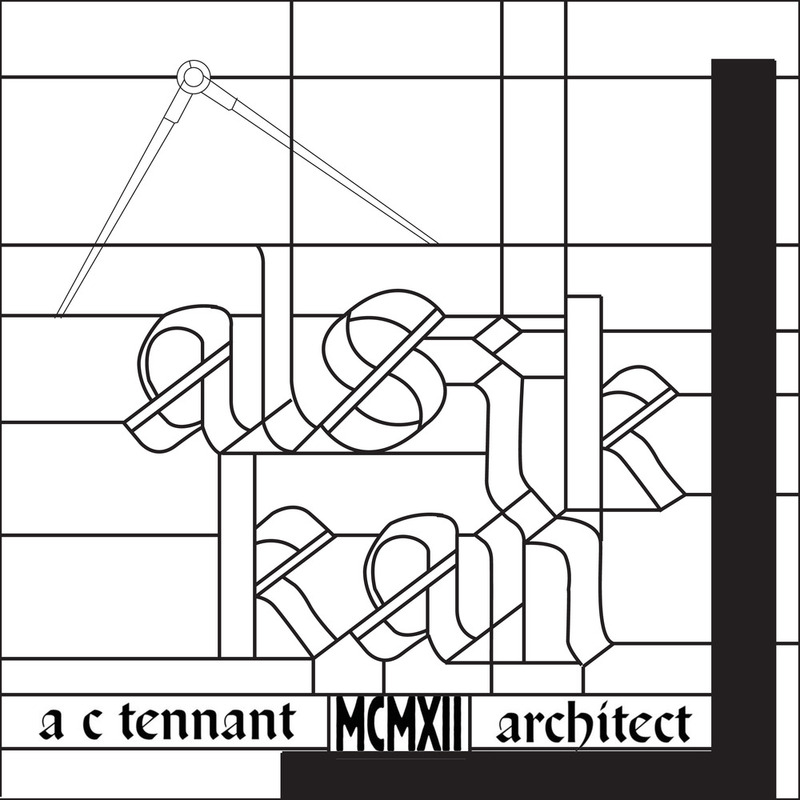 “Als ik kan,” the A&C mantra, has remained the stained glass centerpiece. Mr Dan Salyards incorporated an architect’s caliper and, intuitively, linked the window with Jonathan Rutter’s portrait of Anson’s mother—completed more than two years ago. When Mark Anthony saw the evolving design two weeks ago, he wondered aloud about Masonic symbolism—the caliper-and-square motif—and suggested adding the carpenter’s square. Dan and I agreed on the addition, me on the door frame and Dan in the window itself, leaded into the glasswork. It was one small step to add the 1912 25-cent piece as the caliper hinge (when a dime proved too small). I then recalled the circumstances surrounding young Tennant’s entry in the Agincourt Public Library competition. In order for the most desirable site to be available—effectively 100% corner at Broad Street and the Avenue, which was likely one of the earliest built properties in the city since its founding in 1853—there had to have been a disastrous but localized urban fire. At that point our friend Dave Pence (alias Steve Spence or Deisel Dave) came to the rescue without knowing it. Years ago Dave had sent me an unidentified real photo postcard of a small-town urban fire: an evocative smouldering ruin, in this case a three-story building encased in icecicles, which I had filed for future reference. Scanning eBay years later (at least ten or fifteen years, in fact), I ran across a fire postcard that looked eerily familiar. Lo and behold, it must have been taken by the same photographer, a slightly different view of the same smouldering ruin, this time identified as a theater in Keokuk, Iowa. What luck. A follow-up google search added details that played into the story, because the fire had occurred in January 1912, perfect timing for the 1914-1915 framework I’d established for the public library project. And now the story comes full circle (or full enough for me), because the burned Keokuk building had also been a Masonic Lodge, evidenced by the caliper-and-square motif that appears in the third-floor brickwork—crusted in ice but still legible. There are times I’m grateful to have a long attention span. This has been one of them. Synecdoche was a word I hadn’t known; it created one of those special occasions when the OED stepped down from its keystone position on the shelf. I bought a painting on Ebay, refugee from a flea market, with mine the only bid. Who can say what draws us to a work of art, especially a marginal one with a chunk missing from one edge and an embattled frame that might have been sprayed with radiator paint. These and other blemishes conspired against its sale, but I’m from Chicago, the Second City, and drawn to damaged goods. That’s where character lies, if not charm. The painting? It’s a landscape, an urban vignette seen from a second-floor window, across a street, a yard, an alley, toward the irregular backs of two-story commercial fronts facing the other way. It’s late winter and the Currier & Ives snowfall has long since crusted with dirt and the soot from soft coal fires. A Christmas tree thrown on the berm (or boulevard or parkway or whatever you call that stretch of grass between the sidewalk and the curb in your neck of the woods) is the only sign of life in an otherwise unpopulated landscape. The artist’s palette of red, yellow and blue was dull, muted in the overcast morning light. It’s not the weekday morning of work or the weekend morning of worship. This is the Saturday of sleeping in; of the faint hope that groceries will hold out until market day. A good day to write letters or read that Christmas gift. A good day to paint the view from my window. I have carte blanche here: Neither location nor artist are identified, so the choices are mine. The view, I think, is westward across First Street NE. The house on the left and its yard belong to the Hemphill-Folsom mortuary, a once proud house given over to grieving and goodbyes. I can just make out the service stairs and porches of apartments above the Broad Street businesses, but not sure which is which. I know it’s a Saturday morning in February, but what year? Nineteen forty-two, the first year of the war (and three years before I was born), when Agincourt’s first casualties came home to funerals just across the street. This must be the work of Carl Wasserman, too old to have fought in the war, but young enough to know some who did and to mourn. Perhaps this painting was his way. The palette and technique remind me of Cy Running. Anyone from the Red River Valley knows Running, Saint Cy in these parts, if Lutherans could be persuaded to canonize the recently deceased. Running established the art department at Concordia College where he and his students set the tone of art hereabouts for thirty years or more. The colors, the rough woodcutty brush strokes, even the prosaic small-town subject are his. Wasserman was Catholic, but perhaps the middling Midwest perspective from Main Street trumps religious affiliation. Shades of Garrison Keilor. Carl’s painting joined the Memorial Collection that year. Several years ago I attended a history conference in Wisconsin. Conference organizers were two of the university’s senior faculty who reminded me of Statler and Waldorf—you know, those guys in the Muppet balcony, but with none of the snark. Maybe we had to be better acquainted to see that side of them. My presentation concerned the Social Gospel, a favorite long-term interest which I hope might yet grow into something meaningful for others. At a conference reception—I can’t recall whether it was before or after my presentation—I had a conversation with one of our hosts; his remarks surprised me and, I suppose, might have revealed the perspective of a generation older than my own. One of them confessed curiosity regarding the proposed title: “Building the Social Gospel: American religious architecture, 1880-1920.” Hadn’t everything about the Social Gospel already been said? he wondered. I hoped not, otherwise why had I driven 450 miles to share my point of view. These gentle persons represent the Whig view of history: that eventually all will be written about the past; everything that can be put to paper would reduce the future historian to a bookkeeper, updating that record, dotting vowels and crossing consonants, as required. Accountants are gonna have more fun. What seemed the largest gap between us (Statler, Waldorf and me) was the role of material culture. Many, most or potentially all the orthodox historians of my experience until then began with facts and concerned themselves with interpretation. Humankind have thoughts, share them and then disagree. You know: the five reasons for the Civil War that you memorized in eighth grade American History (taught by the basketball coach). My proposition—that material consequences evidence ideas—was uncomfortable for Messrs Statler and Waldorf. The Agincourt Project would not exist except for the notion of material culture. In the first Agincourt seminar a few years ago (a good idea but basically a failed one), the fundamental question was this: What from Agincourt is currently up for auction on Ebay? I’m still engaged with that question. One such artifact plays its role in Anson Tennant’s backstory. Anson’s design for the Agincourt Public Library required a prequel, several in fact. So, what might have been Opus One developed precedent. Tennant’s first architectural commission occurred two eyars earlier when he remodeled Wasserman’s Hardward and bartered his services for a low-rent long-term lease on the space that would become his studio office. And that design—the most personal gesture a designer can make—emerged from the story of his family and youth. I can see its interior in my mind’s eye and might still recreate it (were it not for a nearly total lack of computer skills). In the meantime the office door will suffice, an Arts & Crafts product as personal as a signature. Enter Mr Salyards. Dan Salyards has designed the stained glass panel of Tennant’s office door, an advertisement for the young architect’s emerging Arts & Crafts philosophy. “Als ik kan” it says in a fraktur typeface. “To the best of my ability” is one translation. And it might have remained one-dimensional, until Dan incorporated a divider or caliper, a draughtsman’s tool that would have lain on Anson’s desk. Dan’s insight eerily parallels Jonathan Rutter’s portrait of Anson’s mother. 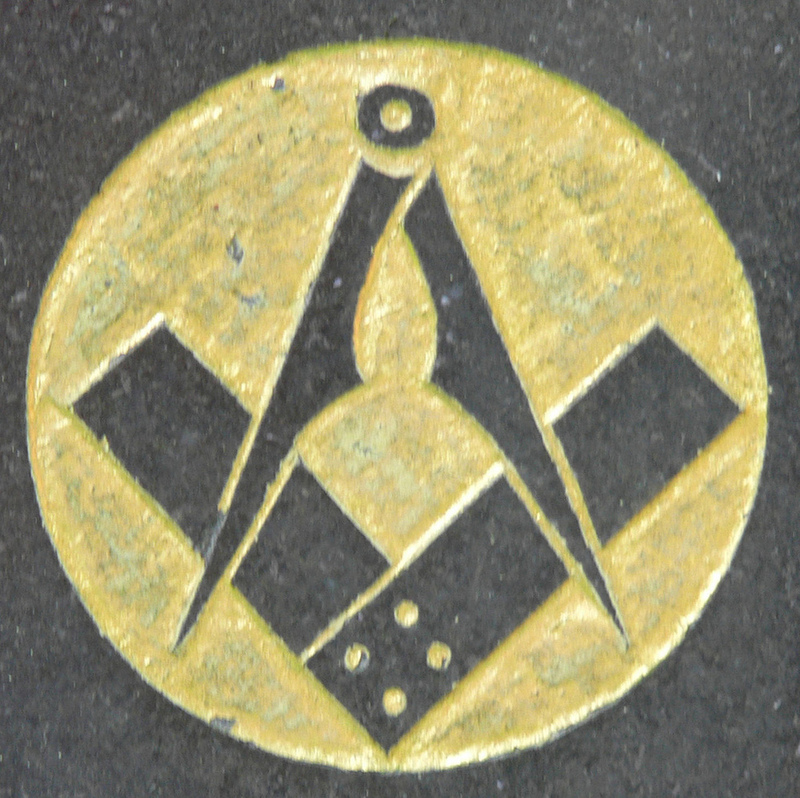 Then, when I showed the PDFs to Mark Anthony, he asked “But where’s the rest of the Masonic symbol?” and reminded me that a carpenter’s square would add yet another dimension. A quick trip to Ebay gave us a 19th century square so patinated that the numbers are barely discernable. 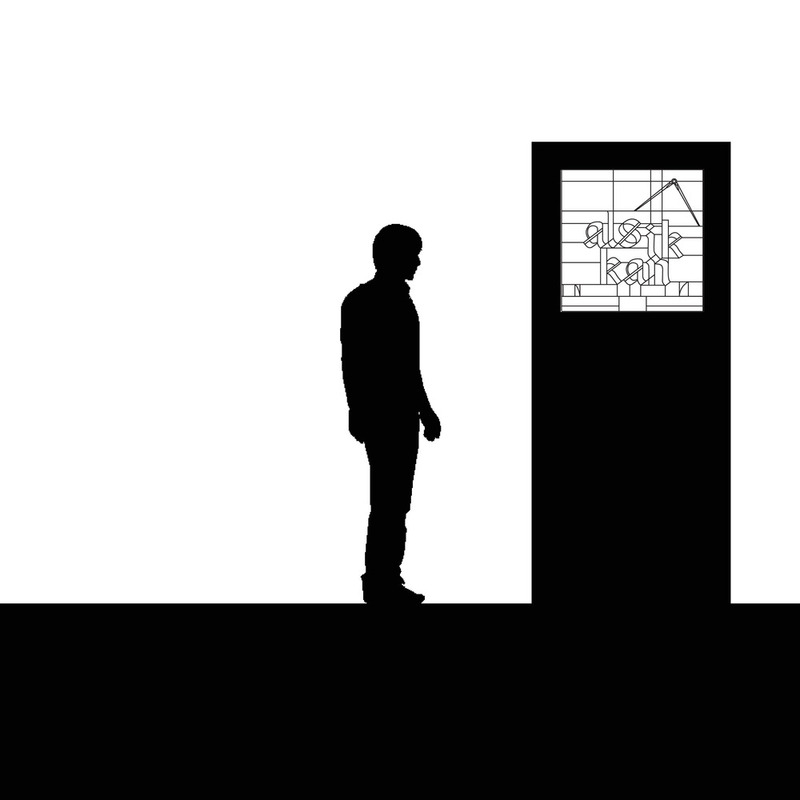 At Dan’s suggstion, the square will be part of the window, rather than simply being screwed to the door. And that, in its turn, has made me wonder about Anson’s relationship with a grandparent or older family friend, someone handy with tools and, maybe, the foundation for a career in building. That story is still aborning. In the meantime, enjoy Dan’s drawings and await the next installment. The American Psychological Association has released its long-awaited revision of the Diagnostic and Statistical Manual. The on-line draft is available for review and comment until its publication in May 2012. Dr Bob voiced reservations about a few of the changes, some of them substantive, but those that affect me will remain relatively intact. I was especially interested in diagnosis #301.81, Narcissistic Personallity Disorder, because I know people with the affliction. If you know an NPD, you know why it might be worthwhile staying abreast of the latest professional perspectives. Among all the classes and categories of psychological dysfunction, NPDs may be among the least likely to seek treatment because they simply don’t see themselves as ill. There is surprisingly little you can do for an NPD except put as much distance between the two of you as possible. A couple years ago Howard wrote two articles about an NPD of his acquaintance, Marielle Leer, whose story has an update. Last week I got a letter from an old friend in Chicago, someone I worked with forty years ago at the start of my career in journalism. Tom Milauskas hired me for a newspaper job right after college and shared his investigative and research skills with a kid who knew less than nothing. I’m forever grateful to Tom for his wisdom and his friendship. Two years ago I wrote here about Mary Ellen Leer, a high school classmate of sorts, who had only come back to life through an anonymous packet of receipts and snapshots that reconstructed a tragic weekend. Tom Milauskas had helped me locate information on Leer in Chicago and he recently found another odd footnote to her story. Crime is no stranger to Chicago. Gang-related activities, racial tension, the growing disparity between those who have and who have not; they are endemic to large populations (and, perhaps, the stuff of “class warfare”?). I had come to Chicago shortly after the Summer of 1968. One of the crimes I recall long after I had returned home for an opening at The Plantagenet was overlooked by many, I suspect: the murder of Lenny Brookes, a Black man found dead in the serviceway of a southside three-story Chicago apartment building. The neighborhood was scheduled for “renewal,” though the sort of “improvement” that would rise there was hardly a paradigm of social housing. Newer ain’t necessarily better. Brookes had been found in the morning, with a single stab wound—from something like a screwdriver or ice pick—deftly swung upward through the ribs directly into the heart. Brookes had barely enough time to realize he was about to die. Inept police work sought a convenient candidate for a short and inevitably dirty trial. Public sentiment in the 70s wanted quick justice and, in this case, they got it. Mike Gerulis, a serviceman for the power company—Commonwealth Edison—had made a service call at that address late in the afternoon and some of his tools were found in the dark passage that lead to a rear stairway. Gerulis’ trial was a showpiece of judicial theater: an eye for an eye, with little concern for whose eye was put out. “An eye for an eye.” Few people ever complete the biblical quote, however, which goes on “Vengeance is mine, sayeth the Lord of Hosts.” But that’s an article for another day. Gerulis remained in jail for more than ten years, an American Death Row domino on the slow track to vengeance, and was executed twelve years after the crime. So much for Mike Gerulis and his family—except that fellow Lithuanian-American and journalist Tom Milauskas was on the case. Long before “cold case files” became popular TV fare, Tom pursued the case of his countryman Gerulis. A police contact in Florida wrote to share the story of Dale Sims, a woman who had died in Florida’s “redneck Riviera” in 1998. Sims had made a deathbed confession to a crime she’d committed decades earlier: a murder on Chicago’s south side while she worked as recruiter for a modeling school. Sims had an appointment one evening with a family who hoped their child might get work modeling for catalog companies like Sears, J C Penney and Montgomery Ward. Fearful of evening meetings in downscale neighborhoods, Sims habitually carried an ice pick in her purse. That evening, suspecting something foul about the situation, she held the pick firmly in her hand while following the directions she’d been given. Halfway along the unlit corridor, a man lunged and she countered with a swift upswing of the pick. Tom has verified much of the story passed on by Florda authorities and has posed this alternative story almost thirty years after the facts. Gerulis may yet be vindicated. But hidden in his files was a minor revelation about Marielle Leer. More about that next week. In the meantime, make your judgments with due diligence. Please. There are very few topics that don’t interest me. And war is at the top of that list. When I came to NDSU, Archer Jones was on the history faculty. Jones was a Southern gentleman, always conservatively dressed—I never saw him in anything but a suit, light-colored for sultry nights on the Charleston battery—and groomed to a level beyond “manscaping.” AH-chuh, as his wife called him (even when he was standing next to her), was a Civil War scholar. For me there is nothing more tedious than second guessing the battlefield strategies of third-string generals, but this was mother’s milk for Dr Jones. So as a novice faculty member at the university, I attended some of his presentations—though I suspect being seen in the audience did me neither harm nor good. I did, however, observe a very characteristic faculty type. My historical preferences and predilections are catholic. And some of them are probably as noxious to you as the Battle of Sunken Heights would be to me. I’m inordinately fond of the Social Gospel, for example, and the Progressive Movement. And I can develop a real lather over the Etruscans, as well. But the Agincourt Project has pushed me in often uncomfortable and sometimes unexpected ways—like the history of franchising. Franchising, I was surprised to learn, began in the Middle Ages, though its modern form (Pita Pit, etc.) began in the 19th century. Drug companies may have been among the earliest nationwide corporations to offer local companies the benefit of volume buying and a brand name. Van Kannel’s Sanitary Drug could hardly buy aspirin in quantities large enough to compete with the price of an identical bottle at the Rexall. So, many Agincourt businesses affiliated with gusto to enjoy the franchise advantage. 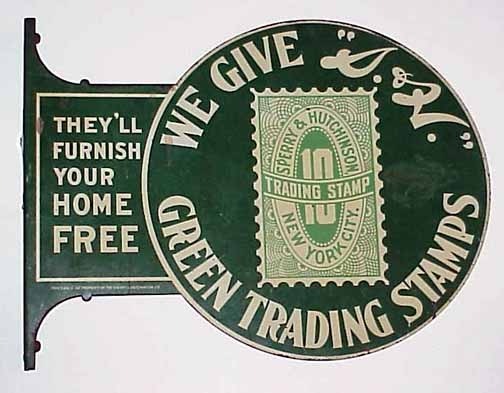 But there is a big difference between a home-owned business (Theo Van Kannel lived three blocks from the Broad Street storefront he owned) and the Big Box retailers of our time. His profits (minus the franchise fee, of course) were plowed back into the community he served—on the board of the Presbyterian church, as a depositor at the FM&M bank, and a regular customer at many local shops. Wally World does employ local people and it does pay local taxes (unless, of course it’s been given a five year tax holiday to encourage its very presence in the community!). But Wally’s profits vanish into corporate coffers connected with a post office box in Delaware. So (he inquired with a pregnant pause) what has been Agincourt’s experience with business franchising? When did the Dairy Queen beat the hell out of Tastee Freeze? How have Adams’ Restaurant and the Bon Ton held their own against Highway Host and Micky D? Then there is the matter of automobile dealerships? Even the YMCA is a franchise of sorts. Uncomfortable as these questions may be, this is why I get the proverbial big bucks. Any thoughts on the franchise phenomenon during the 20th century will be most welcome.